Established in 1912 our client is a small, friendly Golf Club that offers golfers of all abilities a James Braid designed course of considerable character and maturity. 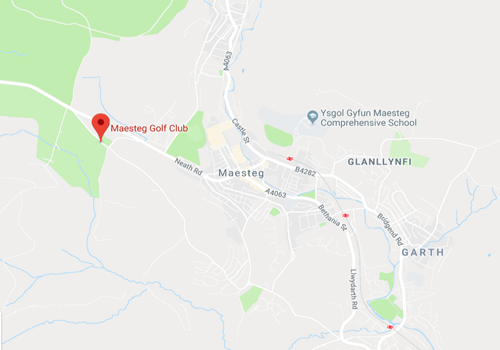 Situated in South Wales, the club delivers a course sculpted from naturally picturesque surroundings with pronounced rolling terrain and stunning views of 2 counties from the hill top location. Due to continued success the club now require a Club Facilities Assistant. This is a fantastic opportunity to join a long established business. The role will be approximately 80% Bar Management duties and 20% Administration work. •	Liaise with catering franchise. •	Serving members and guests at the bar. •	Comply with health and safety and food hygiene laws. •	Assisting the Facilities Manager with Account and Bank Reconciliation. •	Arranging the staff rota. •	Front of house, bar work experience. •	Possess great customer service skills. •	Be able to work as part of a team. •	Organised with high standard of cleanliness. •	Be honest and reliable. 2. Minutes of Previous Meeting – any questions? It is with great pleasure that the ‘Rest’ of Maesteg Golf Club came back from a shaky start to obliterate the ‘Bowmen’ for the 2018 game. The Bowmen were without their illustrious Captain due to his unavailability. A spokesman for the Bowmen put the heavy defeat down to a lack of support and leadership from their non-playing Captain (lack of Bow Cans on the 1st Tee) had an effect on the result. The Club have once more thrown down the challenge to Mr Leigh Parry's 'Bowmen'. The match will be played Saturday 2nd March 2019 followed by entertainmentfrom 'pardon Madame'. All club members and past 'Bowmen' are invited to celebrations in tehbar afterwards (approx 17:00). Great win for Wales against the old enemy and an even greater win for Chris Preece packing his new Cobra driver in the Pro Shop Stableford . A magnificent 46 points-"where have you been hiding him Gareth Holt"
Texas Scramble Entry Poster is now up on the board ready for you all to place your names down. If your a new member or know of a new member that would like to meet more people to play golf with please come and play in this fun filled event. 666 Competition Reminder The 666 competition is set to be played this coming Saturday the 28th October. There are still spaces available to join, please note the tee is closed for this competition from 7.30am you will need to add your name to the competition to be able to play. Texas Scramble Saturday 4th November 2017 Shotgun Start 12pm – Course Closed from 12pm Teams of 4 – Scramble Format (All players in team tee off – pick the best tee shot – pick best second shot & so on) Minimum of 4 Tee Shots per player Enter Gross Score on Card Max Handicap 24. Captain’s Day 2017 We are all set for captains day 2017, although the weather is poor today, the forecast is good tomorrow. Please note we are running a society day in between the tee off times so please stick too tee times. Please note members & guests tee times are now published on the notice board. Please book in to bring your guests along for what will be a fantastic day, show your course off!